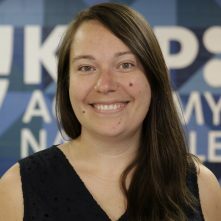 Meet the KIPP Academy Nashville team — our school leaders, teachers, and support staff. 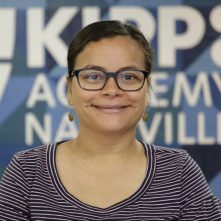 KIPP Nashville Academy, a Tennessee Reward School for top 5% student growth in the state, offers a rigorous college preparatory program combined with character instruction and a world-class performance choir. 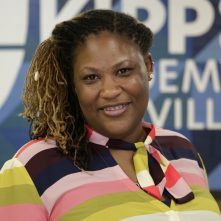 Our incredible team of educators help KIPP Academy Nashville students thrive and reach new heights on the road to and through college. What gets me most inspired are the small moments: seeing a student understand a complex excerpt of literature; those moments when I stumble over my words while teaching and the students send me shine (or laugh out loud); seeing my Guided Reading group make growth every week; buying school lunch for the first time and having students tell me what’s good (or not); or in the conversations I’m privileged to have with my students about their lives, dreams, and aspirations. It’s in these small moments that make all of the hard work endured every single day, worth it. 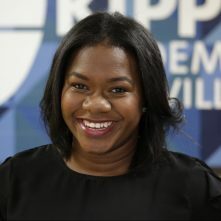 I believe that ALL children are deserving of a high-quality education. 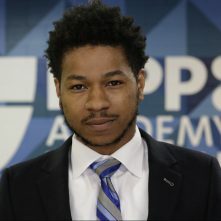 I enjoy being in a position where I can positively impact the lives of children and help them to be the very best that they can be. 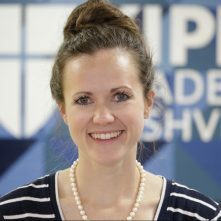 Being a music teacher gives me the wonderful opportunity of creating an environment in which students have experiences that they will remember for a lifetime. The joy and pride that students feel after participating in a successful performance is priceless!